Our children are introduced to a balanced program of interaction with friends in both “Teacher-Directed” and “Child-Directed” activities. At Phoenix Preschool, we believe that with our skilled, patient teachers, the right tools, and age appropriate activities all our children will have a head start on their academic career, and the tools to become successful adults. It is well established that three and four year olds need a strong focus on cognitive development along with attention to their social/emotional development to be ready for pre-school and kindergarten. Technology now plays a key role in this preparation. 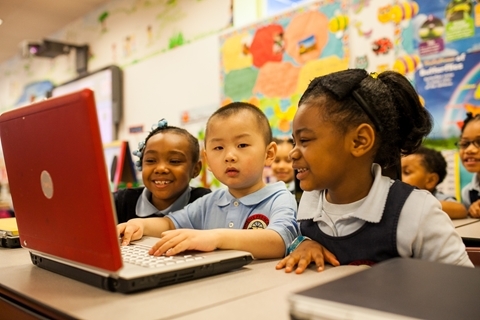 Experts confirm that preschool age children are developmentally ready and able to benefit from instruction with technology. Phoenix Preschool has adopted the latest curriculums to create a unique learning program for our youngest students. Our four year old with the help of our qualify teachers are introduced to cognitive skills such as sequencing and matching, social skills in similarities and diversity, and language art skills of storytelling and writing. 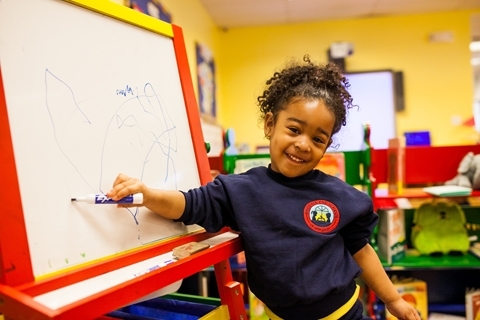 As our three-year-old students gain more self-esteem, they may feel ready to take on the world. Our well-rounded program fosters that confidence.